Voice600 min talk time to all mobile & fixed lines nationwide. Download large DVD quality movies and music video clips in a short period of time. 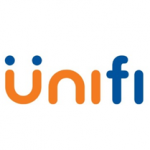 Enjoy IPTV channels from unifi TV. unifi TV also offers interactive content through its video–on–demand feature. Work from home and stay in touch with offices, clients or business associates anywhere in the world in real time through high speed internet, video and phone connections. Enjoy a richer and secure shopping and e-commerce experience without the need to leave home by accessing virtual shops online. Play online games in high resolution with people from around the world. Study online and participate in virtual classroom discussions with tutors from around the world and make research efficient by downloading books, journals and magazines faster.